Twin diesel Nissan LDV of 55hp each installed in 1998 and less than 400 hours since ! Steel construction in 1992 and believed to be just three examples made. Live aboard boat (not a live aboard barge!) for sale in France. 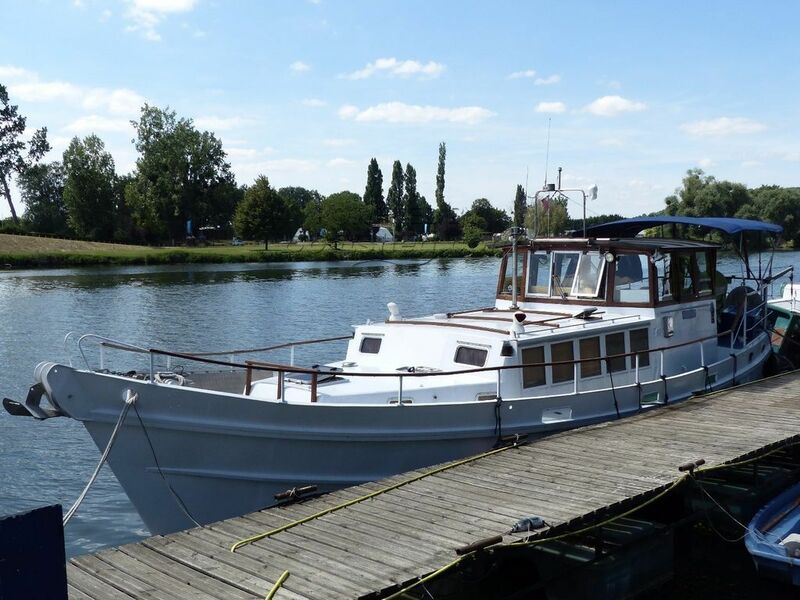 Boatshed Paris is pleased to offer this very pretty steel hulled live aboard river and coastal TSDY motor cruiser for sale near Paris. Ideal as a full time residence in France, a “pied-à-terre” or as a long term cruising home. Twin engine memorability plus bow thruster and “go-anywhere” dimensions make this a very interesting proposition. For more information and appointments to view, please contact Pascal GAETAN, your Boatshed broker at Boatshed Paris. This Motor Cruiser 41ft SEDAN has been personally photographed and viewed by Pascal GAETAN of Boatshed Paris. Click here for contact details.